What can Breaking Bad show us about leadership? If your reaction to this title is “Whaaaaaa? !”…well…bear with me for a little bit. Perhaps you are like the rest of the nation and are following the captivating tale of Walter White and Jesse Pinkman. I’m definitely one of the majority; it’s an awesome show and definitely does not seem to have jumped the shark. 1. People have captivating stories. We are drawn to this show – week in and week out – to witness the evolution of Walt, Jesse, Hank, Skylar, and the rest of the gang. The plot of the show is excellent and the show truly has no cinematic fault – but the characters are what keep us tuning in. Real life is also similar in this way when we can open our eyes. The people around us that we lead or even simply encounter in our daily life hold similar stories. Whether our eyes are open to the amazement of this is up to us… but it can definitely add life to what we do as leaders. 2. People can change. Without giving away too much, it is amazing to see Jesse and Walt reverse roles as Breaking Bad unfolds. Similarly, the people we are leading can change; they can improve themselves or they can fade away. Either way, it is important to believe and understand that people ebb and flow. Our examples as leaders contributes to how and where the people around us evolve. 3. People are imperfect. Hank is one of our protagonists, one of the good guys, but Hank definitely has his flaws. The same goes for any of the other “good guys” on Breaking Bad… and in real life. It is important to remember that we all as leaders are doing the best job we can but we are also imperfect. It is our duty to stay the course as best we can. 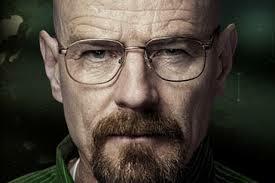 Walter White definitely is not the kind of leader that I would recommend any of us aspiring toward. However, hopefully you can take some good things from this show and you can apply them to your daily leadership example.